Over the course of this semester, I have realized that my honors thesis in political philosophy is both the culmination of my collegiate studies and an act of self-appraisal that I must undertake before my departure from Emory. 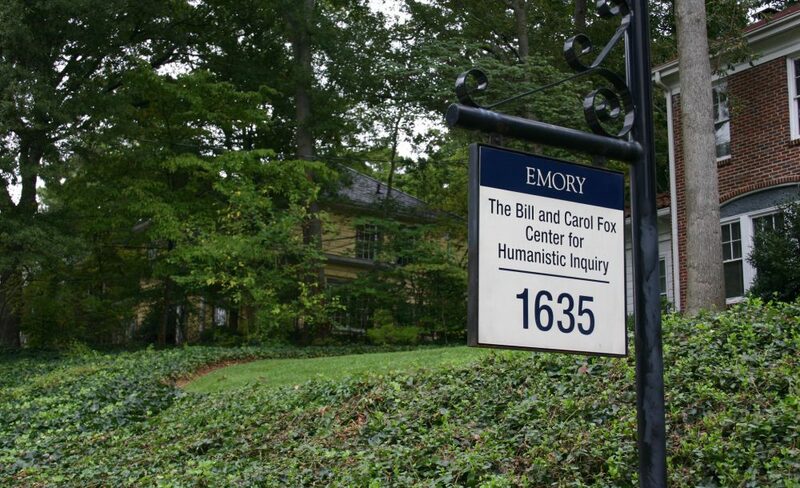 At Emory I have discovered that I am truly obsessed with politics, law, and social thought. But my studies have often frustrated me: How can I possibly synthesize Friedrich Nietzsche’s opaque writings in three pages? How can I give a fair account of the context in which a leftist militia, the P.O.U.M., became prominent and then dissolved during the Spanish Civil War? Frustrations caused by my education were never limited to the classroom. I have reexamined political issues once settled in my mind, only to find myself pulling a thread and, to mix metaphors, scurrying deeper down the rabbit’s hole. On the advice my thesis advisor, I made my final undergraduate project an exploration of these nagging questions. I have been, for years now, partial to argumentation. The ease with which I adopt the views of persuasive people leads me to a new perspective every week, but a crisis of belief at the end of every month. Struggling with Plato’s Republic this past month offered me a new perspective on the value of the dialogic encounter. It is Socrates’ conversations with his interlocutors, the process of a cooperative pursuit of understanding, which has real value. Plato cannot curtly answer what Justice is, or what is the proper role of the philosopher in society, and thankfully he doesn’t try. In Plato’s Seventh letter he provides us with a clue to understanding his enigmatic dialogues: “Further, on account of the weakness of language, these attempt[s] to show what each thing is like, not less than what each thing is. For this reason no man of intelligence will venture to express his philosophical views in language, especially not in language that is unchangeable, which is true of that which is set down in written characters.” This expression of humility reminds us of the importance of direct human interaction. The Fox Center, in keeping with the Socratic tradition, inculcates the ongoing conversations between its fellows with various events. Whether I am discussing liberalism and its critics with Dr. John Lysaker, Tibetan metaphysics with Dr. Sara McClintock, or Soviet propaganda with Dr. Matthew Payne, I recognize how fortunate I am to share a room with experts who share my interests. My encounters with Plato and experiences at the Fox Center aid my understanding of political deceit (my thesis’ subject matter) and show me a path forward as a soon-to-be college graduate. I have not come to firm positions on the political issues that trouble me, nor have I settled the question of whether I would like to return to academia, but I know that the path towards these answers (even if the answers themselves are only temporary) is the mutual exchange of perspectives and a willingness to allow my thinking to change—constant conversation with those around me.